Whilst finishing this lace weight shawl for a deadline (it was for a birthday present) my arm was aching, literally aching from wrist to shoulder, for a 6mm hook and some chunky yarn. As longer term readers will know I suffered terribly from RSI for a long while when I upped my crochet game. It got to the point where even pouring myself a cuppa or chopping vegetables for dinner was agonisingly painful. I wrote a collaborative post with Not So Granny and Lazy Daisy Jones on our experiences of crochet-induced Repetitive Strain Injury (RSI). 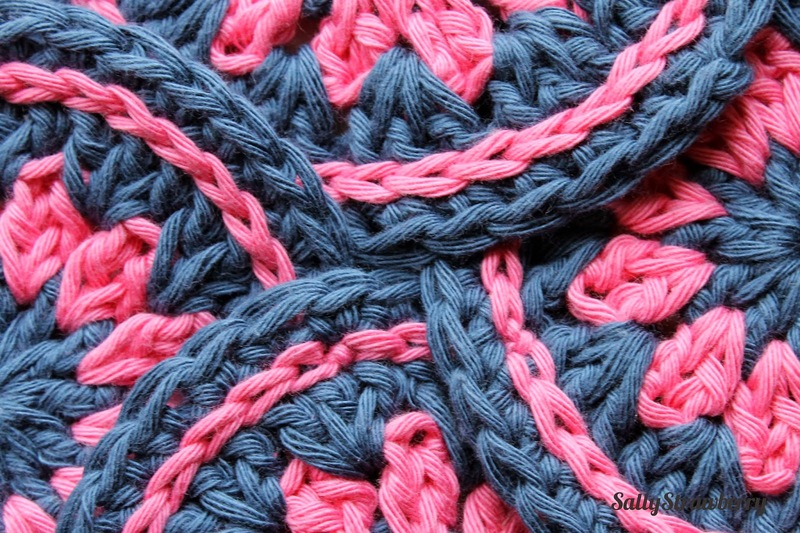 This post is my most popular post on this blog so obviously this is a massive concern and prevalent problem amongst the crochet and knitting community. problems but it really must not be underestimated as it can cause terrible problems for some. condition, and for it to prevent you from engaging in your favourite hobby or your sole source of income can be a total nightmare. Crochet allows you to express your creativity, it can give focus during difficult times, it allows you to create beautiful things for friends, family and your home, and has been proven to stimulate your mind and prevent cognitive decline. Basically crochet is great for you in every way other than for your physical body, especially your poor poor wrists. Any repetitive action, such as hooking, can cause an overuse injury, damaging your muscles, nerves and tendons and will often gradually develop over time. Some people are lucky and can happily crochet away for hours at a time daya on day with no problems. For me, crocheting for more than a couple of hours a day can produce an ache in my wrists that lasts for weeks. Sometimes I can crochet through it and be OK, but I know that if I wake up in the morning and my wrist still aches I've gone too far and a break is in order. I was prompted to write this post, and I started drafting it there and then, when crocheting to deadline whilst watching the Wimbledon final. The pain got worse and worse as I neared the end of the match and eventually I had to concede (thankfully Murray had other ideas). Up until writing this post my wrists have generally been alright. I know when I have overdone it and I know when to stop. I also know that if I have a deadline I can push it if I take regular breaks and know that if I have a couple of days off from crocheting (and knitting) afterwards I will recover. At the moment though I am in a state of flux. My right wrist has been hurting on and off for days. It's not as bad as the first time the RSI struck as its not preventing me from carrying out day to day activities, but still pretty noticeable and a little worrying. I'm desperate to avoid a rerun of before so I haven't picked up a crochet hook for just over a week, and as I haven't seen any improvement (though it is certainly not any worse), I'm going to give it a rest until after this weekend and see how it goes. may resonate with fellow suffers, others which may be personal to me. I'm not trying to make sweeping generalisations and everyone is different (such as those lucky crocheters who never have this problem!). Most importantly if you suspect you have RSI go and see your GP. considerably. If I were still working evenings and on my own during the day I think I would be crawling the walls. • I went a significant time (maybe a year or so) crocheting with a wrist brace. I no longer do this as it actually became more uncomfortable using the brace, probably because I always felt it was cutting my circulation off. It definitely helped me during recovery though. I used an Elastoplast one from Boots and it did the job perfectly. • Yarn weight makes a massive difference. 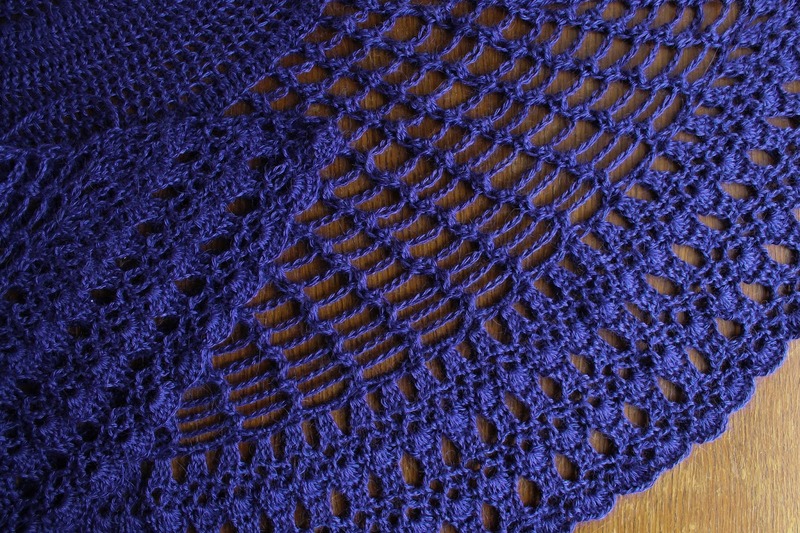 - Thin yarn with a larger hook (such as this shawl- 4ply with a 4mm hook) means I had to grip tighter with both my left and right hands, causing more pain than double knit or chunky. - Cotton is also worse as it has no give in it so is tougher on the hands and wrists. - I find it easiest to crochet with a chunky merino with some stretch such as this. • Knitting is just as bad as crochet-sorry! For me anyway knitting caused just as much pain . I thought it would be an ideal alternative for when I was in too much pain to crochet but sadly not, it just made it worse. • Take regular breaks, as often as every 10 minutes or so- during these breaks don't pick up your phone! What are you doing by swiping up your screen scrolling through Facebook or Instagram? Putting more strain on your wrist! • Pain is not always isolated to the wrist. You may also experience a very painful elbow, shoulder and neck. If you are experiencing right pain here when you knit or crochet, please stop and take a break. If it doesn't subside then I repeat, go and see your GP. I hope this post provides some reassurance that this is a common problem and if you are on a crochet or knitting hiatus then you are not alone. Things will get better in time, with rest and the appropriate medical interventions. Next post I will be writing about the things I have been doing to bide time until I'm back on the hook.